For centuries the basic tools of the gold miner, the pan, shovel, and pick barely changed at all. However, today for the first time ever gold miners have a powerful new tool, because of the development of relatively inexpensive and easy to use electronic gold metal detectors. Gold detectors have revitalized recreational gold mining – greatly increased the possibility of discovering gold deposits which were too low grade to have been recognized by old-time prospector using only a gold pan or sluice box. These are not simply metal detectors. They are purpose built gold detectors that are fine tuned to detect even small amounts of gold at much greater depths than a normal metal detector, and to rule out false hits from other sources. The Minelab Eureka is a great example of a purpose built gold detector. One great feature is that it has a 10 inch coil. Many less sophisticated gold detector use much smaller coils which means you cover much less ground on each pass. If you’re worried about recouping your investment you could go with a more moderately priced metal detector such as this Bounty Hunter Landranger . If you add the smaller purpose built gold coil, which allows for deeper penetration, you have a good basic gold detector for much less than some of the higher end gear. Gold detectors are extremely important in the desert regions such as Nevada, Arizona, New Mexico, and Southern California. Large reserves of gold may exist, but the lack of a permanent water supply, necessary for conventional placer mining operations, has meant that there have been far fewer gold strikes discovered in these areas than in other areas. The use of modern gold detectors has opened up the desert to modern prospectors, because water is not required to find the gold! Gold detectors have transformed the search for lode deposits at higher altitudes and in other difficult to reach locations as well, because it’s just so difficult to set up a traditional placer mining operation in those locations. Even if you don’t live in one of the states that have had high levels of historic gold production don’t despair. There are undoubtedly some significant veins of gold in states with little or no historic gold production that have never been mined at all because they were impossible to find before the development of modern gold detectors. For instance, Alabama produced about 24,000 ounces of gold during the early 1830s and has produced almost nothing since then, which is about the same production as Tennessee. 29,000 ounces of gold have been produced in Michigan and at least 37,000 ounces have been produced in Pennsylvania. Did you know that there was ever any gold mining in Pennsylvania? In these areas modern gold detectors might actually lead to a huge new gold strike, because there is clearly gold in place, but it is not as easy to discover as it is in many of the western states, because the terrain is much more gentle in most of the Eastern United States. So, you don’t get the sort of heavy erosion that has so often exposed gold in California and the Rocky Mountains. But with gold detectors you don’t need swift flowing rivers to reveal the gold. Finally, if you’re in an area where there is a lot of water you might want to go with an underwater metal detector to augment your panning or dredging. Most underwater metal detectors are extremely expensive, but the Famous Trails MD 6000 is less than $300 and it lets you go places more expensive gold detectors don’t. It’s not as finely tuned to gold as some more expensive detectors, but for prospectors in areas with lots of rivers that did not have much historic gold production it is a great choice. Regardless of what model you choose modern gold metal detectors have created a golden opportunity for modern prospectors, because it allows them to be faster and more productive than even the most experienced traditional miner. It is really an investment that every serious prospector should consider. 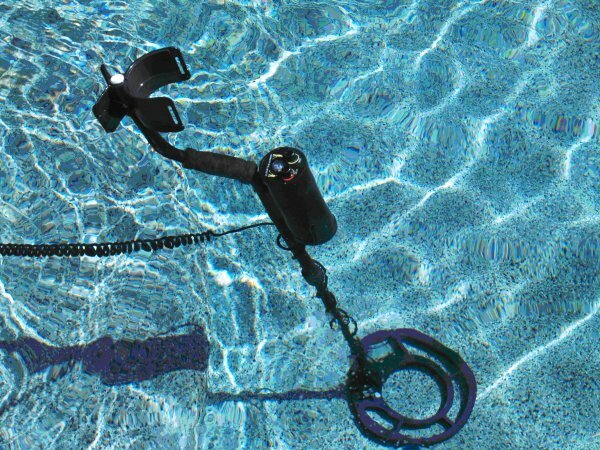 Read more about Underwater Metal Detectors.